The Mediterranean diet – a diet high in fruits and vegetables, whole grains, lean protein, and low in sugar and processed food – has been linked to the reduction of many different health problems, including reduced heart disease risk and a reduced risk of dementia. A recent review of 13 studies looked at the relationship between the Mediterranean diet and bladder cancer risk. The study found that strong adherence to the Mediterranean diet is associated with a reduced bladder cancer risk. The researchers suggest the link exists because the Mediterranean diet is high in anti-inflammatory foods. On the other hand, the specific role which the diet plays in the role of bladder cancer isn’t fully understood. The Mediterranean diet is low in salt and uses other herbs as a means of adding flavor to food. It also doesn’t use butter, but olive oil, which provides healthy fat. Lastly, red meat consumption is limited to about once a month, and the rest of the protein comes from poultry or fish. The study looked at diets of over 600,000 participants compiled worldwide. Participants were divided into one of three groups based on their adherence to the Mediterranean diet, meaning low, medium, or high adherence. Those in the high adherence group had lower incidences of cancer compared to the low adherence group. 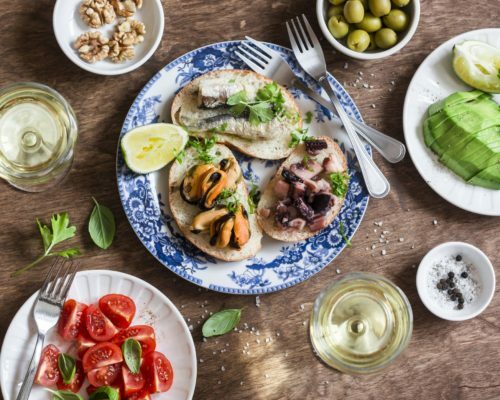 The Mediterranean diet has been found to improve many areas of health, so it may be a wise choice to opt for this style of eating for prolonged, healthy life.